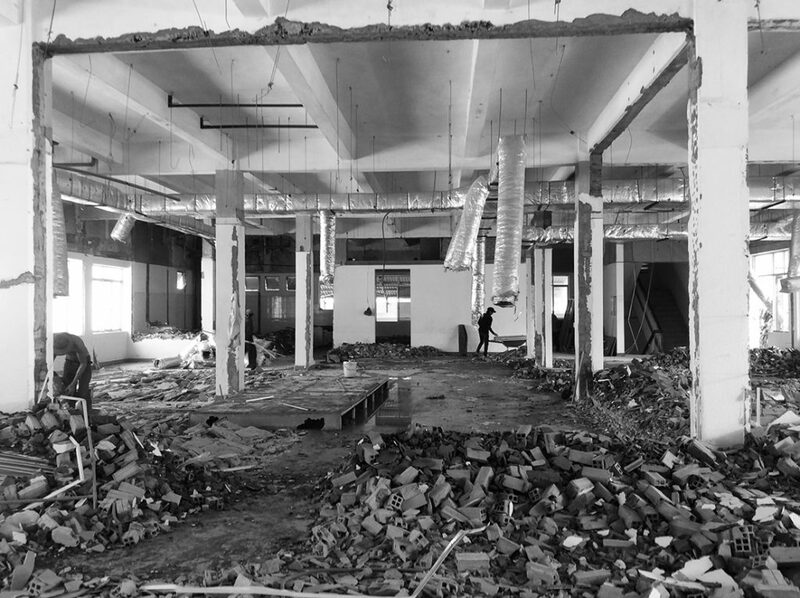 In the context of a dense urban landscape it is logical that the rising start-up community would turn towards the highly efficient concept of co-working for their professional solutions. 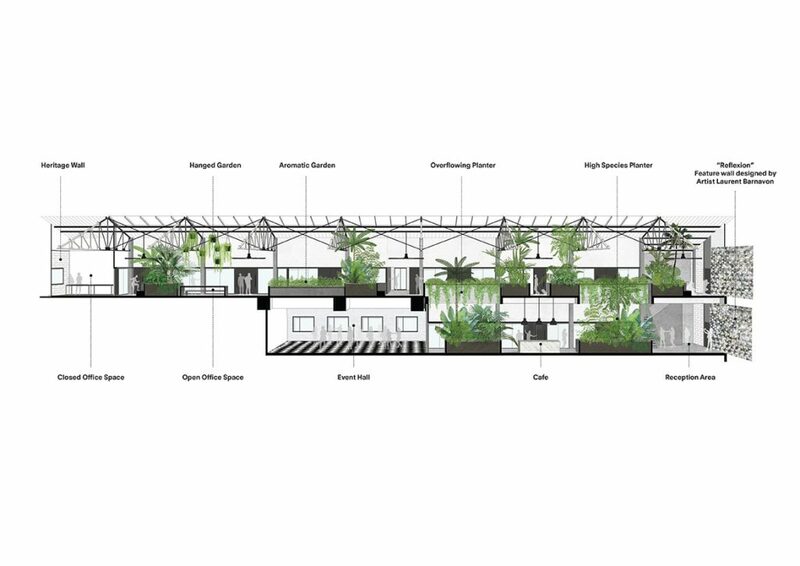 These spaces must effectively combine the positives of both public and private arenas offering the professional users an efficient resource platform whilst also encouraging social interactions and accommodating for the temporary visitor. 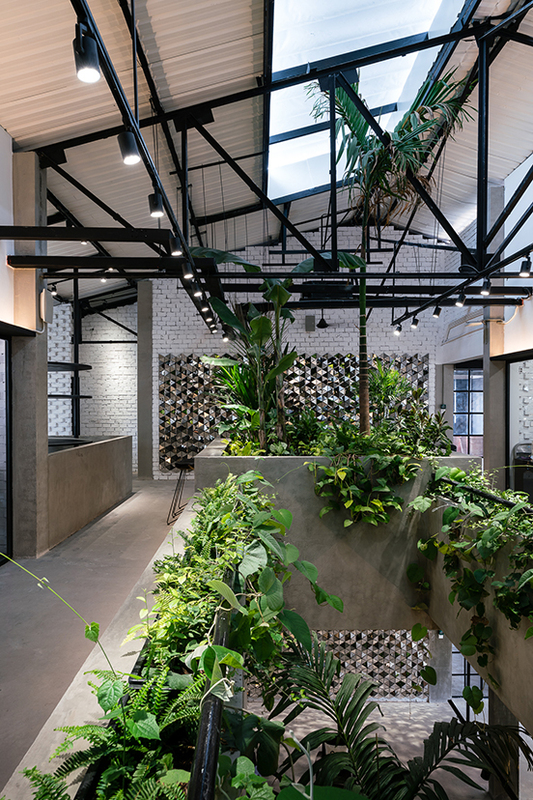 In the core of Ho Chi Minh City and enclosed in the center of a large factory complex, “Jungle Station” sets the benchmark for conceptual design of such spaces. The entirely refurbished printing factory responds not only to the logistical complications of shared program condensation but reflects on the intangible experience of shared space. 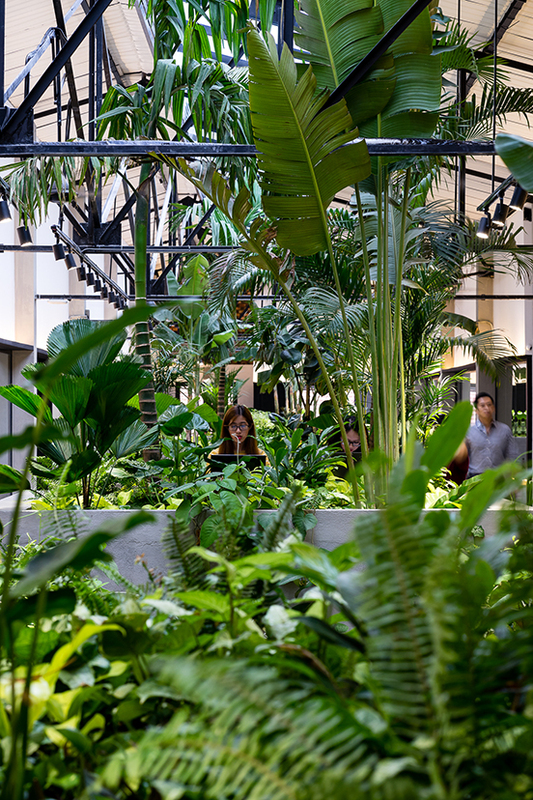 The conception of a tropical environment that also facilitates the flow between the various programs is possible via the feature element of the “Green Connector”. The vegetal spine runs centrally through the space both horizontally and vertically remaining visible from any public zone of the building. 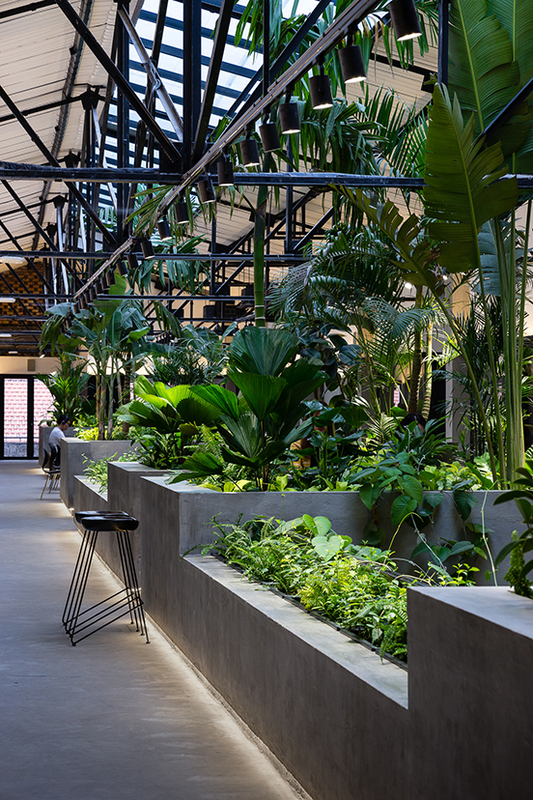 More than a simple combination of potted plants, the cooling and calming capacities of the Green Connector occupies all echelons of the space, from large succulents to hanging creepers and an aromatic herb garden. This green connector also plays the role of “social connector” as traffic allows itself to pause among the foliage. With resting and working stations dotted along the central plantations, the specialized coffee bar caters for a relaxed break. 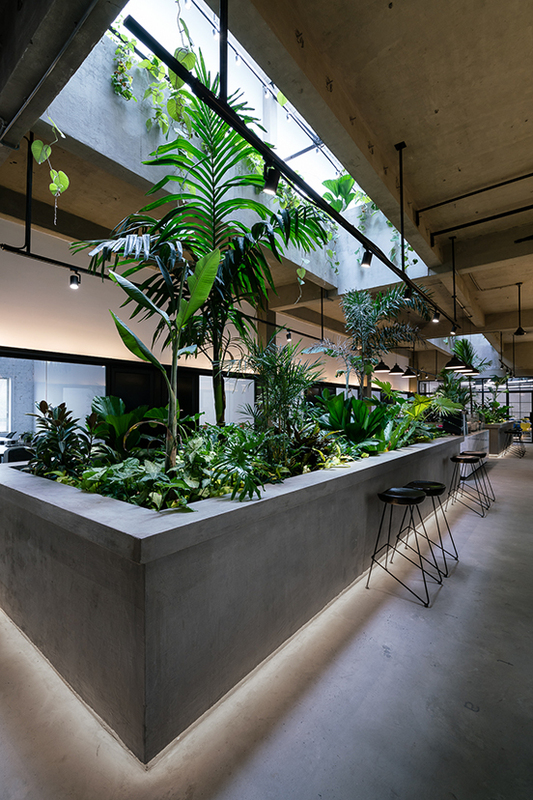 By opening a central chasm and removing a large part of the roofing, natural sunlight is filtered through the layers of leaves and allowed to spill through the building, enhancing the sensation of a naturally tropical, vegetal environment. As the sunlight shifts over the building the users are able to feel in touch with the natural advancement of the day. Each closed office space, distributed rationally along the facades is able to view this luminous centerpiece. 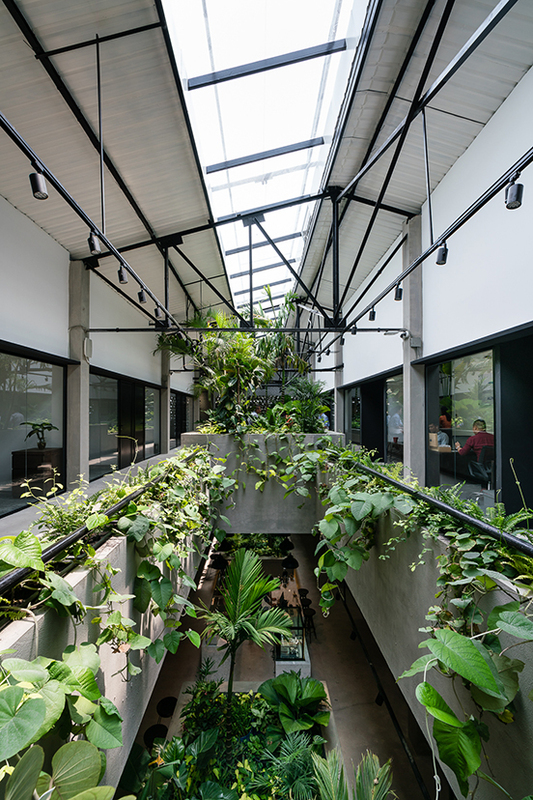 To allow for focus and highlight the presence of the green organic volumes, architectural elements are left raw, minimal and monochromatic. 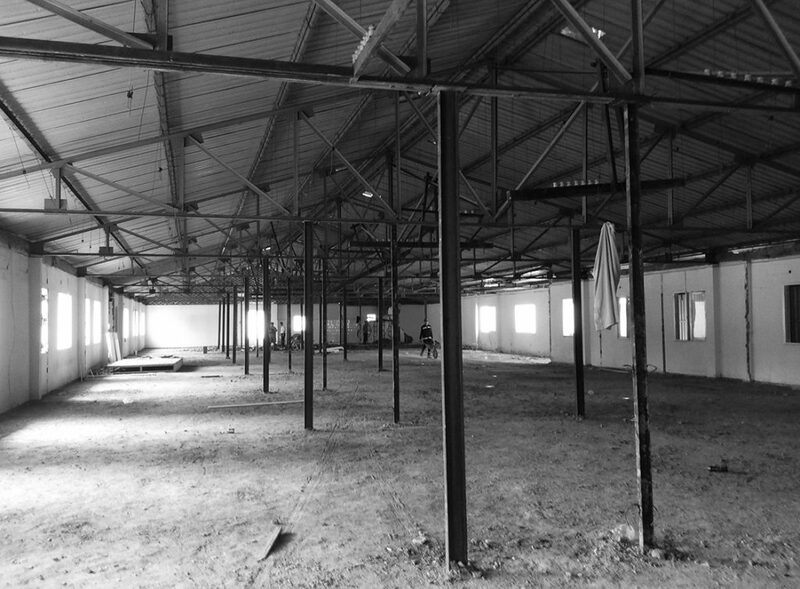 Here a balance is created by reintroducing traces of the structure’s industrial past, revealing operational and technical elements of the building such as support beams, ventilation systems and cabling. 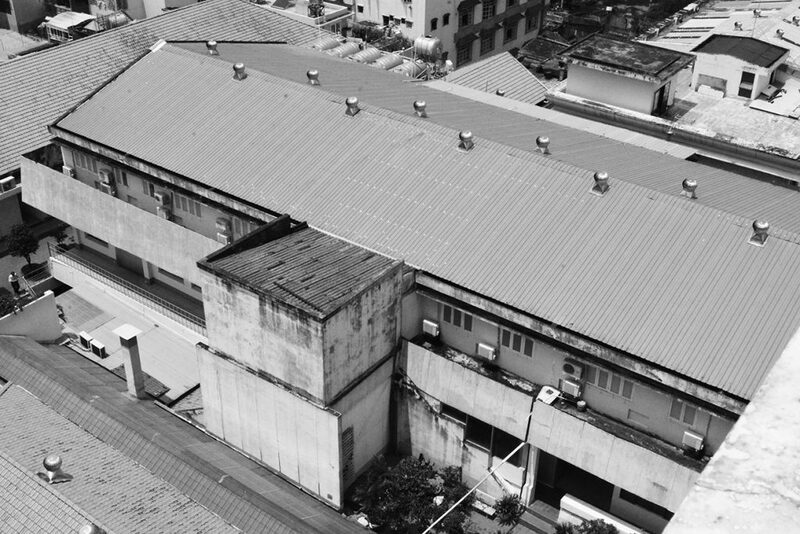 Details of industrial character; exposed textured brick and dark.